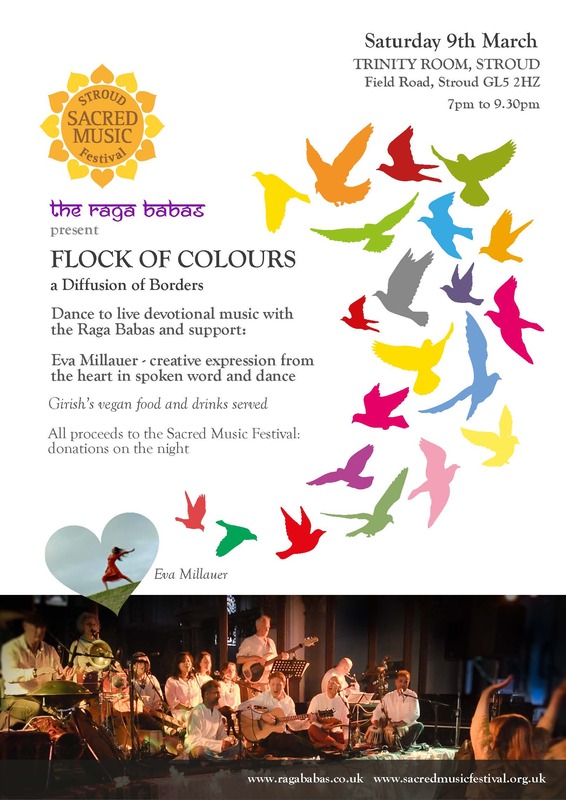 Dance to live devotional music with the Raga Babas and support by Eva Miller. By donation only, all proceeds to the Stroud Sacred Music Festival. Suggested donation £10-£15 or what you can afford. Children and young adults welcome. Vegan food and drinks served all night.